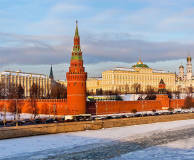 What is hidden behind the Kremlin's walls? 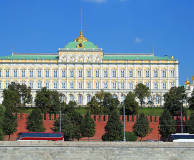 The Kremlin in Russia is one of the most well-known palaces in the world. 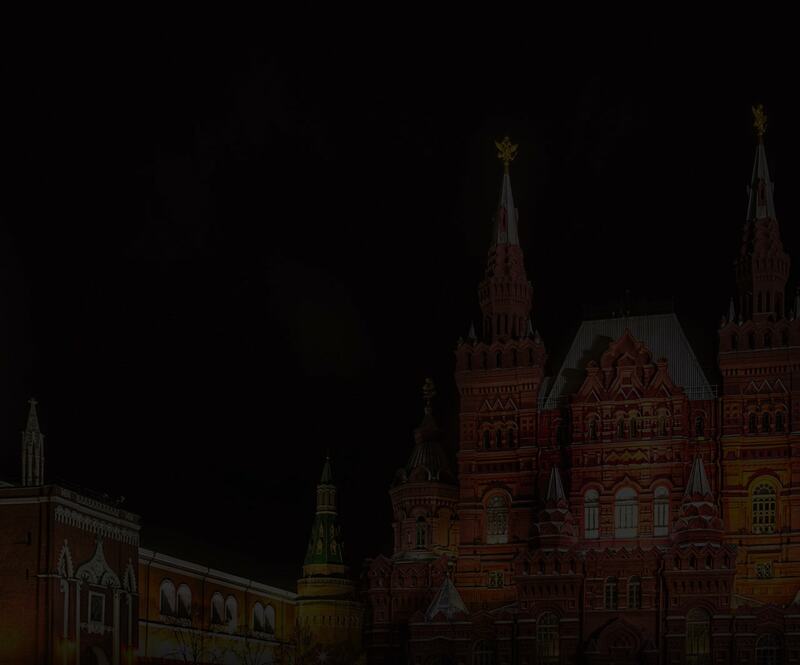 Do you want to learn about the mysteries of the Red square without missing any detail visiting this famous place? 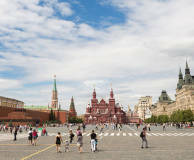 We offer a complete guide to Red square Moscow with useful tips and interesting facts. The recommendations will help everyone, who is going to Russia or just planning the trip to Moscow. Those, who have already been there, and want to learn more about one of the most popular touristic spot in the world, will appreciate this guide too. Follow the link and find out more! 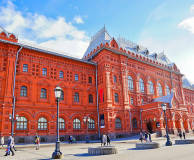 The Chambers of the Old English Court are a unique architectural landmark in Moscow. This is one of the oldest examples of civic architecture dating back to the 15–early 16th centuries. It was Ivan the Terrible who passed them to English merchants. 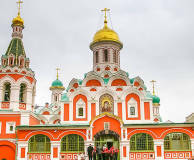 The Cathedral of the Archangel was built in the 16th century and dedicated to the Archangel Michael. 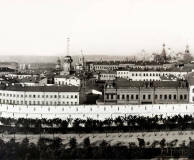 It was the main necropolis of the grand princes of Moscow. Ivan Kalita, Dmitry Donskoy, Ivan the Terrible and Michael I Romanov are buried here. 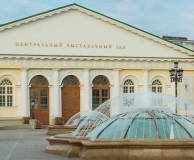 The Museum of the Patriotic War of 1812 is located in one of the central squares of Moscow, Revolution Square. It was built in the “Neo-Russian” style for the City Duma and afterwards reconstructed for the modern museum to architect P. Andreev’s design. 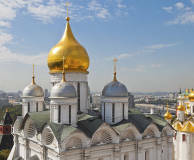 The Church of the Deposition of the Robe is situated behind the Dormition Cathedral of the Kremlin in Russia. Its 17th-century interior successfully combines architectural design, mural paintings and iconography, notable for its stunning unity of style. Kazan Cathedral stands where Moscow Red Square meets Nikolskaya Street, next to the Historical Museum and the GUM. The moment you see it, your imagination carries you away, deep into the mystery of ancient Moscow the way it was in the last part of the Middle Ages. 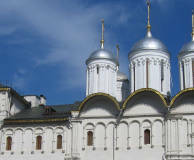 This unique example of mid-17th century Moscow architecture located in the very centre of the Russian capital on the Kremlin Moscow’s grounds. It's a three-storey building designed as a single architectural complex that united the Patriarch’s Palace and the church. 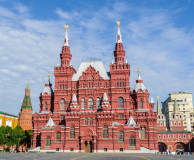 This is a true Kremlin Russia's mansion – a luxurious house in the centre of a former medieval aristocrat’s estate located only a few hundred metres away from Red Square in the historical district called Kitai-Gorod. It was restored and turned into a museum. 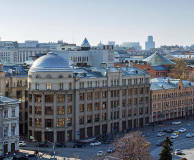 The building of the State Historical Museum is one of the 19th century Russian landmarks and a unique example of the way the national architectural traditions are followed. Each room is a small masterpiece created with participation of outstanding artists. 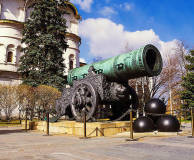 The Tsar Cannon and The Tsar Bell are rather remarkable exhibits of the Kremlin Moscow. Both of them are located near the Ivan the Great Bell Tower and immediately attract visitors’ attention. 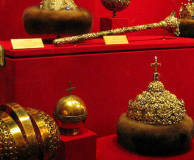 The Tsar Bell weights about 200 tons and the Tsar Cannon weights 40. 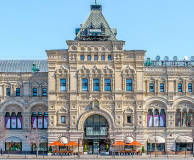 The State Department Store (GUM) is the best-known shopping centre in Russia, and it has been an integral part of the architectural ensemble of Red Square Moscow for over a century. It houses about a hundred premium class stores, cafes, and restaurants. Moscow Manege it is a historic building in Empire style that was constructed in1817 in honour of the victory against Napoleonic France. Now the complex serves for large-scale cultural projects, hosting exhibitions of contemporary art and photography. 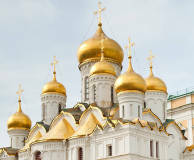 Cathedral of the Annunciation was originally designed as a house church for Russian tsars in the Moscow Kremlin. Here, Russian tsars were married and baptized. Nowadays, this temple is a perfectly preserved monument of architecture and church decor of the 16th century. 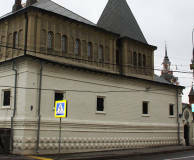 The Kitay-Gorod wall is the most famous monument of the medieval Russian fortification. It had 2 567 m in length, 9 m in height, 6 m in width. 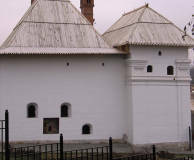 The Kitay-Gorod defensive wall was built in Kremlin Moscow in 1535-1538 according to the latest military engineering art. Just opposite the Borovitskaya Tower of the Kremlin (rus - Kreml), in the capital of Russia is one of Moscow’s most beautiful mansions, Pashkov House built in 1786. This building is one of the most significant architectural landmarks of the 18th century. 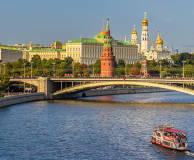 Find out how to buy tickets to Moscow Kremlin, how to get to a guided tour or where it is better to have lunch at the Red Square... Here you will find answers to the most common questions! 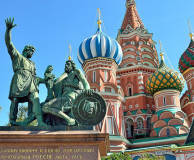 If you don’t feel like going outside, you can still discover Moscow’s major tourist attractions! 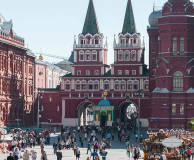 The Resurrection Gate arch, that leads to Moscow Red Square, establishes a visual link between the State Historical Museum and the Museum of the War of 1812, while the small chapel by the gate houses one of the most venerated icons - the Iveron Icon. 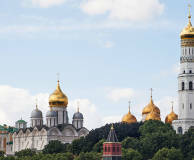 Steeple-roofed towers of the Moscow Kremlin and its walls with swallow-tailed crenellations are irreplaceable elements of the metropolis panorama. The fortifications were constructed in the 15th century by Italian architects to protect the city from enemies. 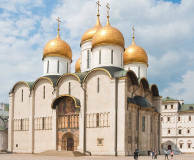 The Dormition Cathedral of the Moscow Kremlin was a key Orthodox cathedral of the Russian state in the 15th–19th c. It is where all the emperors of the Romanov dynasty were coronated. 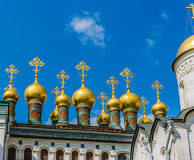 The cathedral was the burial place for Kremlin Russia Metropolitans and Patriarchs. It seems like there no other reminder of the Soviet era is more distinctive than the building of the Mausoleum. 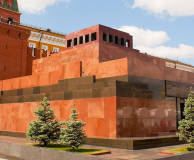 The embalmed body of Vladimir Lenin, the main organiser and leader of the 1917 October Revolution, rests here, at Kremlin Red Square. 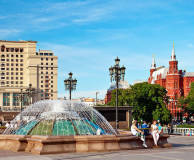 Alexander Garden and Manege Square are two symbolic places near the Kremlin (rus - Kreml) walls, highly popular both among residents and tourists as areas for promenading. 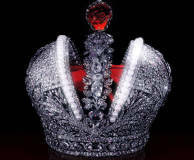 They hold memories of war victories, emperors, outstanding military commanders and heroes. 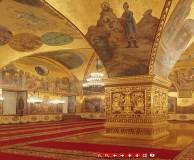 The Kremlin Palace is a unique architectural ensemble and a landmark museum in Moscow. 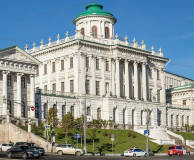 It used to serve as the residential chambers of emperors and members of their families, and today it has the status of the grand residence of the President of Russia. 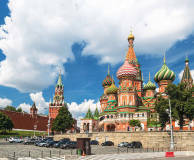 For many centuries, the Ivan the Great Bell Tower situated in the Kremlin’s Cathedral Square remained the tallest landmark in Moscow. The Bell Tower took its definite shape in the early 17th century during the reign of Boris Godunov. Its height is up to 81 m.
The Monument to Minin and Pozharsky, two national heroes-liberators, is one of Moscow's best known monuments and perhaps the most symbolic one. The monument to a prince and a commoner was paid for with people’s donations. 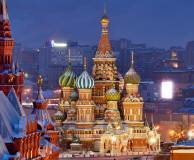 It is located on Red Square Moscow.